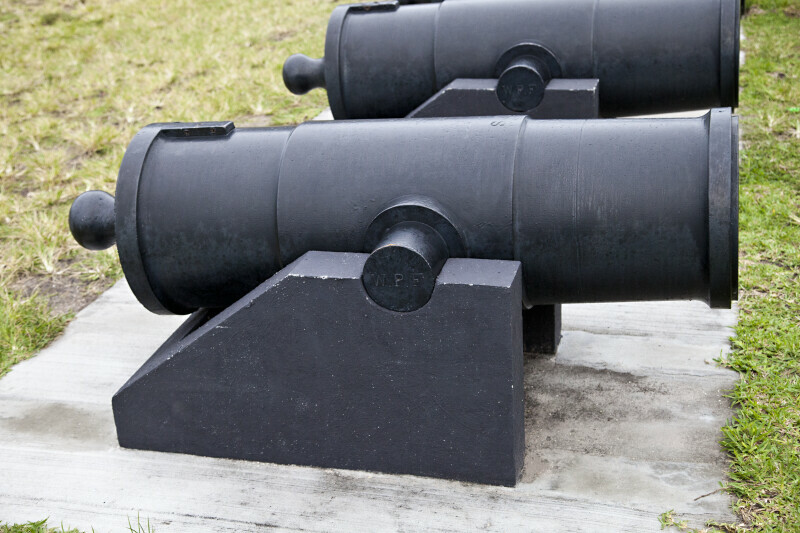 These short, large bore cannons are likely to be mortars. They are part of the water battery. These mortars are angled upwards. The fort is a National Monument, and is listed on the National Register of Historic Places.